Wayne started Line Up Surf way back in the 1990's when he had recently returned from travelling around Samoa finding surfbreaks and possible resort set ups for the Samoan Tourism Authority which at the time was ultimately the Samoan Government. Wayne has over 25 years experience in everything to do with surfing, having competed in International events when he was younger as well as judging WQS and Amatuer surfing events all over the world for both Male and Female competitors. Through Waynes knowledge of Samoa and the friends he made whilst living in the country he started a business with a local chief in 1995. The surf business was a small surf camp that goes by the name "Maninoa Surf Fales" situated on the South side of Upolu. The surf camp was the beginning of Waynes Travel business which has now grown in many other countries around the world including The Maldives, Indonesia and of course Hawaii. Wayne is a very passionate sports enthusiast and often you can be stuck talking with him about the Socceroos, the Wallabies or any sport for that matter! 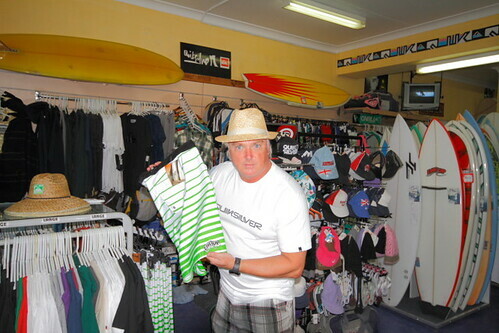 Line Up Surf is still going strong as the sole surf store in Dee Why on the beachfront. 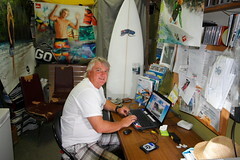 It is from here we operate surf schools, surf travel tours and surfboard advice.